Elliott O'Neil plays on a xylophone at the Wallingford Child Care Center in Seattle, Aug. 27, 2018. 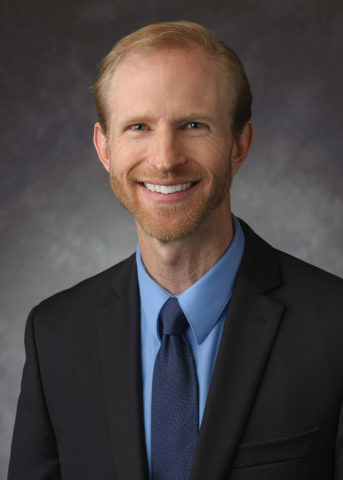 Early childhood education contributes to the economy, according to Minneapolis Federal Reserve economist Rob Grunewald. 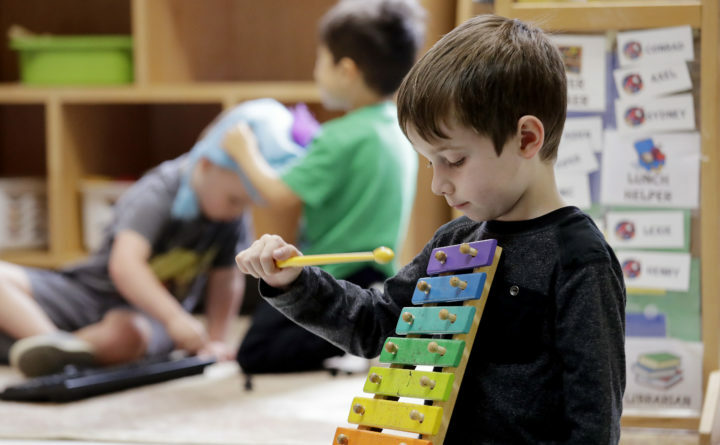 Early childhood education can have a substantial economic payback and boost the workforce, according to an economist for the Federal Reserve Bank of Minneapolis. While workforce training programs tend to focus on high school and college students, early childhood education can lead to a substantial return for every dollar invested, economist Rob Grunewald said. He was scheduled to speak to Maine lawmakers who make up the Maine Children’s Caucus in Augusta late Wednesday morning. The caucus is a bipartisan group of lawmakers advocating for investment in early childhood education. “Neuroscience shows that the first few months and years of life have a strong influence on the skills a child cultivates in school and brings to the workforce as an adult,” Grunewald told the Bangor Daily News. “Long-term research studies show that investments in high-quality early care and education can yield as much as $16 for every $1 invested, particularly for children from disadvantaged environments,” he said. That includes higher earnings and taxes and less money spent on incarceration or other social programs. At the same time, adverse experiences and chronic exposure to stress in early childhood can lead to a brain wired for negligence or threat, which can impair learning, memory or the ability to self-regulate, he said. Grunewald said his talk in Maine aims to educate lawmakers about the importance of pre-school and good day care. Another side of not having affordable care or education for young children is that a parent or parents might have to take off work or not work at all. Some 73 percent of children younger than 6 in Maine have all of their parents in the labor force. That’s higher than the national average of 65 percent, he said. “Many families struggle to pay the cost of early care and education programs, especially for infants and toddlers. This can reduce productivity on the job when child care arrangements are not reliable or inhibit participating in the workforce altogether,” he said. The cost to businesses when parents have to leave work or lose their jobs is more than $3 billion, Grunewald said. About 42 percent of Maine children ages 3 to 4 are enrolled in public or private preschools, below the 57 percent average for New England according to the 2018 Education Indicators for Maine Report from Educate Maine. The goal for Maine in 2019 is 50 percent. Some 49 percent of Maine school districts offered public pre-K education, and 87 percent offer full-day kindergarten. “Economics is an incredibly relevant factor in a child’s educational success,” said Sen. Rebecca Millett, D-Cape Elizabeth, co-chair of the Legislature’s Education and Cultural Affairs Committee, who started the Maine Children’s Caucus with and Rep. Sawin Millett, R-Waterford. “Children who are poor half of their childhood are 90 percent less likely to complete high school than children who were never poor,” she said. “If kids start behind not knowing colors or numbers, they stay behind,” she said. Another effort to bring attention to childhood education and well-being is Gov. Janet Mill’s desire to bring back the Children’s Cabinet. Established by Gov. Angus King in 1995, the Children’s Cabinet was a forum that heads of state agencies used to collaborate on policies to help kids, from education initiatives to criminal justice reforms. When that group was operating, the commissioners of corrections, education, health and human services, public safety and labor held monthly meetings, separate from regular Cabinet meetings, to discuss children’s issues and design policies. It ran from 2002 to 2010 and helped attract tens of millions of dollars in federal and private grant money to support programs in Maine, according to a summary written by its staff for the administration of Gov. Paul LePage in 2010. LePage quietly closed the Cabinet in 2011, saying that similar work could be completed more efficiently without Children’s Cabinet meetings. In her inaugural address last week, Mills said she wants to reopen it.